Northwest Vista student Adam Ramirez is working to make the world abetter for cancer patients. 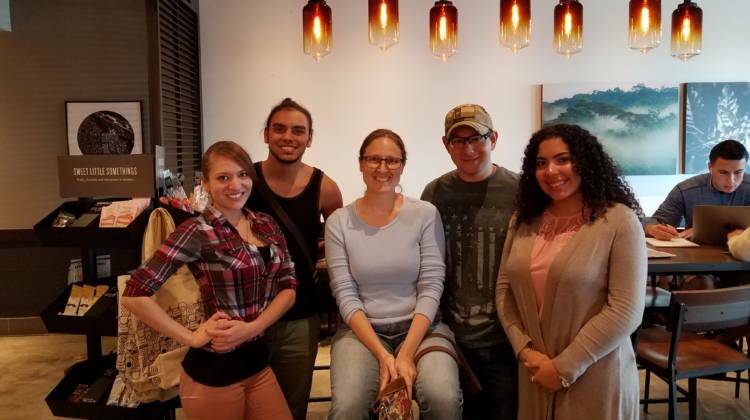 Ramirez, an LVN and part-time student at Northwest Vista, got together with fellow classmates Katrina Lopez, Tanner Greven and Genesis Ramiro on a project aimed at making the world a better place. The group has been tasked by NVC Professor Dr. Don Lucas with creating and executing a project that will essentially make people happy. Lucas, is hoping to take students outside of the classroom and into the communities. “The Create The World a Better Place” assignment is all about giving students opportunities to define what the “world” is and then change that world in a fashion that makes it better,” Dr. Don said. Dr. Don’s assignment presented Ramirez with an opportunity to realize something he had already been thinking about. “My group and I decided we wanted to celebrate the strength of people going through cancer therapy, and this assignment was the perfect opportunity to do just that,” Adam said. Adam and his group decided to provide an opportunity for cancer patients to receive a complete makeover. From hair and makeup, to manicures and pedicures, participants will have a chance to feel beautiful for a day. For Adam, this project hit particularly close to home since his wife had recently been fighting brain cancer. He was surprised to see how just a little bit of extra attention gave her the hope and confidence she needed to continue battling the disease. Palo Alto College agreed to do the makeup and hair of participants. Adam welcomes the unconventional lesson, pointing out we live in a world where most of our connections are via social media. That concept is exactly what Dr. Don was aiming to teach his students. “Most classes have students talking about changes,” said Lucas, “my class requires students to actually make the change. And what is the ‘change? '” My students get to define that too,” he added. 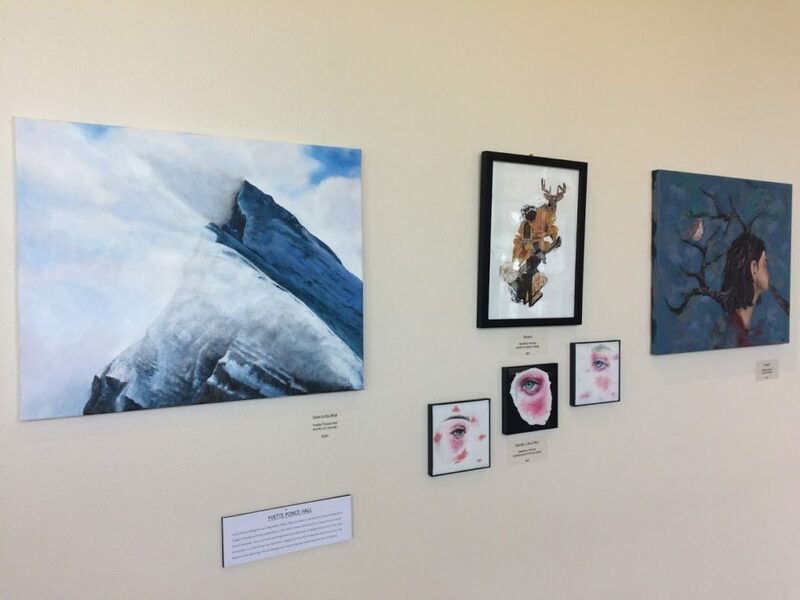 This year’s annual student exhibition highlights the artwork of 12 exceptional Northwest Vista College students. The students were chosen for the exhibition from a pool of 40 applicants. NVC Instructor Rachael Bower looked at over 200 works of art by those students to narrow down the artists. The featured students span a variety of media including ceramics, collage, digital, drawing, fashion design, painting, photography, sculpture and woodworking. Rachael has curated the student show each year since 2015. Typically there are eight students whose work is showcased over the summer months, half two-dimensional and half three-dimensional. This year there was such a wonderful variety of themes, techniques and media that it was expanded to include even more artists. Arranging the work for installation is one of Instructor Bower’s favorite parts of the process, “it is always exciting to see how the art informs one another.” Each student’s artwork is accompanied by a brief biography and artist statement for viewers to learn more about them and their work. The exhibition remains on display through the first day of classes, Aug. 27. The public is welcome to view the exhibition at any time Monday through Thursday this summer. You can find the art exhibit lining the hallway in the Palmetto Center for the Arts building. Purchase inquiries may contact Instructor Rachael Bower, rbower3@alamo.edu. Interested in submitting your artwork next year? Look for the ‘Call for Art’ posters in the art building in spring 2019. 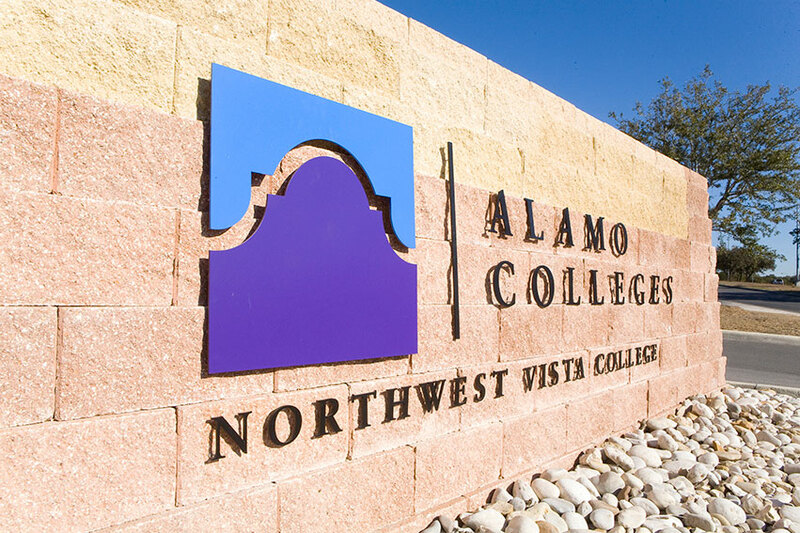 Students do not need to be art majors to apply or enrolled in art classes-this juried opportunity is open to all Northwest Vista College students. All skill levels and media are encouraged to apply! Learning how to be healthy can start at an early age. Northwest Vista College students from Biology 1322 Nutrition and Diet recently visited children of the Guadalupe Community Center after school program to teach them about nutrition and physical activity. 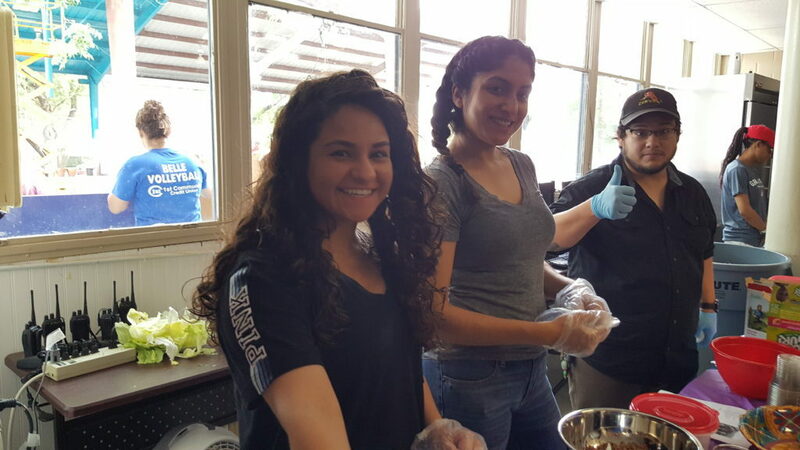 The NVC students participated in a service learning project this semester that included several components to it, which included their final project yesterday at the Guadalupe Community Center. The goal was to education children about nutrition in an effort to prevent childhood obesity and the development of chronic diseases linked to nutrition. Snack Attack group was all about comparing healthy and unhealthy snack options. Kids were able to make their own snacks from what the team provided. KillCalories taught kids how to read the Nutrition Facts panel of a food label and compare serving sizes and calories of different products. As a demo, kids served themselves cereal and then were shown how that compared to what the actual serving size is. Kids were also able to portion out their own snacks to-go. Fitness Fun team was all about physical activity. They educated the kids about the benefits of physical fitness and had them do a relay that involved jumping rope, Hula hoops ,and bubbles. The Sugar team educated the kids about sugar and fat in foods and the negative health effects on the body. Their board showed how much sugar is in a variety of drinks and snacks. The last NVC team actually cooked for the kids. They cooked and then displayed it on a table and educated the kids about the different foods groups and MyPlate, added Jo Ann. The kids were then able to build their meal which consisted of all the basic food groups. Whether or not you may believe it, but having support from your instructors really does change your outlook on school. I don’t mean when they cut you slack, give you an A just because, or allow you to miss days; no, this does not help. However, if you are a student who is really trying your hardest and really want to make something of yourself, some instructors will provide you the ability to move toward your goals even if they do not make it known. I say this because it has happened to me more than once. I must say it was a shock to me at first because I never paid much attention to my instructors when I first started college, I just wanted to pass the class and move on. But sometimes I would try to find a way to connect with my instructors and see them as someone who used to be in my shoes. One of my instructors once said, “I used to eat Top Ramen too!” That was hilarious to me because we have all been there. This is a prime example that before they were teaching the class, they were attending class. I supposed over the years, I became more mature, because I was able to see them as someone trying to help my future rather than someone making my life miserable with homework. I never took the time out until recently to appreciate the work they put in for me to get where I am today. The instructors that I had from various subjects have made a positive impact on me so much that I decided to change schools and my major because I knew they were leading me in the right direction. Some students may feel as if they are here every day on campus to fend for themselves. Your instructors are here for a reason, as much as you depend on your scientific calculator in that overwhelming math class, you should be able to depend on your instructor. Not for an easy way out of course, but to guide you in the right direction. All you have to do is ask, they will have the answers or will try to help you find them. Jonathan Mendoza, Jose Vazquez, and Jorge Vazquez Campero – all from Northwest Vista College – have been selected to travel to NASA’s Johnson Space Center this spring to participate in the NASA Community College Aerospace Scholars project (NCAS). Jonathan, Jose and Jorge all have been selected as one of 160 community college students from across the U.S. to be part of NCAS. The five-week scholars program culminates with a four-day on-site event at Johnson Space Center and offers students the opportunity to interact with NASA engineers and others as they learn more about careers in science and engineering. While on site, students form teams and establish fictional companies interested in Mars exploration. Each team is responsible for developing and testing a prototype rover, forming a company infrastructure, managing a budget, and developing communications and outreach. 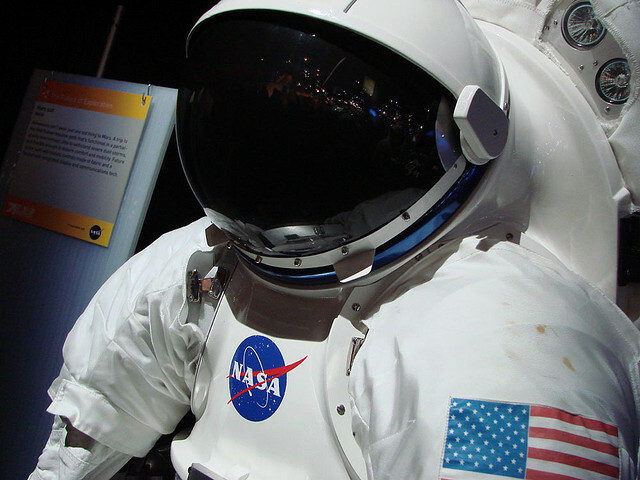 The on-site experience includes a tour of facilities and briefings by NASA subject matter experts.